Keto Jello Cheesecake - Sugar Free, No-Bake & Tasty Crust! 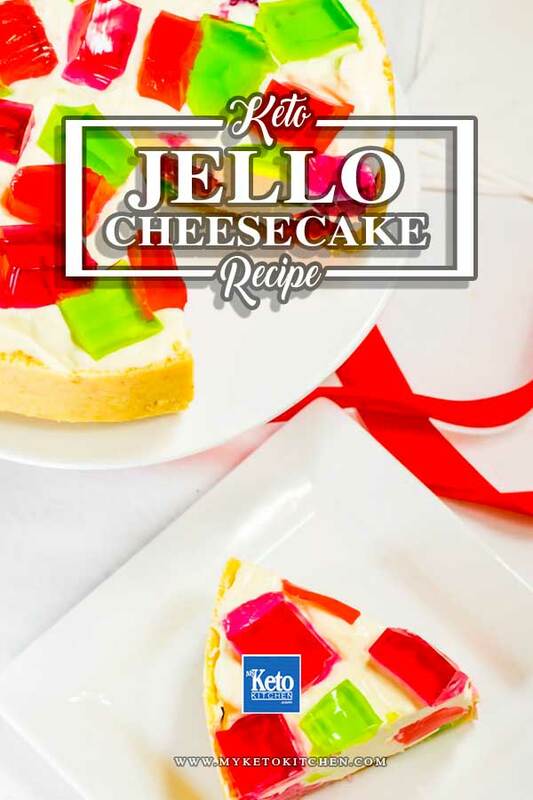 Home » Recipes » Keto Jello Cheesecake – Sugar Free, No-Bake & Tasty Crust! 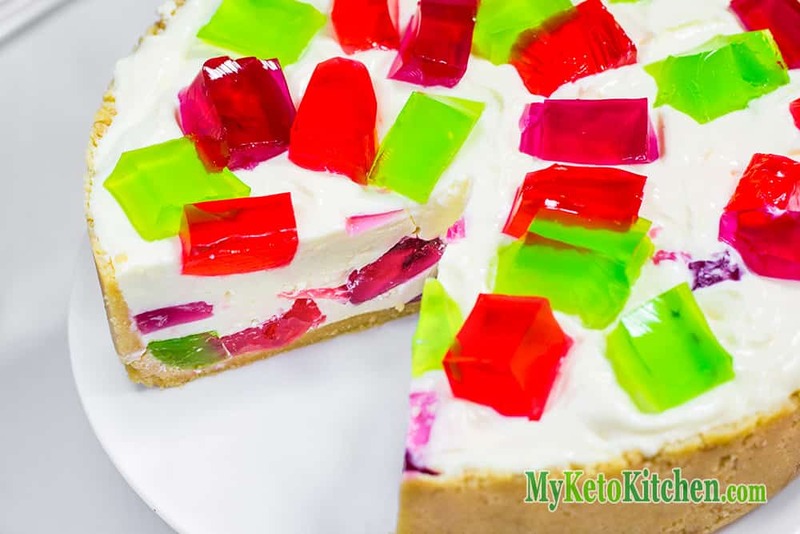 Keto Jello Cheesecake – Sugar Free, No-Bake & Tasty Crust! Keto Jello Cheesecake – Sugar-Free, No-Bake & Tasty Crust! 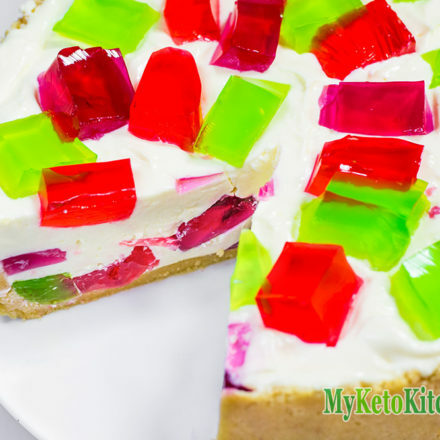 Here is a Delicious No-Bake Keto Jello Cheesecake it’s sugar-free and has e low carb crust. The Sugar-Free keto jello cheesecake is perfect for festive occasions as a birthday cake or another festive dessert! If you wish to take the cheesecake completely out of your spring-form pan and display on a cake plate, line the base of the tin with parchment. Make sure the parchment is larger than the base of the tin and leave the overflow sticking out. This will be very helpful when removing from the tin. This keto jello cheesecake recipe makes 16 serves. I have to credit my sister with the idea behind the development of this recipe. She texted a photo of a similar style cake to me and I just had to make a low carb one. It wasn’t that hard as we’ve made low carb cheesecake before. If you love Jello, you just have to try our Raspberry Cream Fat Bombs and our Vanilla Berry Jello Ring! In a heatproof jug place 2 cups of boiling water and dissolve 1 sachet of Jello and 1/2 teaspoon of gelatin. Set aside to cool for 10 minutes. In a second heatproof jug place the other 2 cups of water and dissolve the second sachet of Jello and 1/2 teaspoon of gelatin. Set aside to cool for 10 minutes. Line 2 rectangle containers with cling film and pour one flavor of Jello into each container. Place in the fridge to cool for at least 4 hours or overnight is best. Place the Keto Vanilla Shortbread Cookies in your food processor and blend until they resemble crumbs. Pour in the melted butter and blend until combined. Press the mixture into the base and 2 inches up the sides of a 9in spring-form tin. I wear food safe gloves to keep my hands clean. Set the base in the fridge for 30 minutes. Clean out your food processor and add the cream cheese and Natvia. Blend until smooth. Add the heavy cream and lemon juice and blend until smooth. In a heatproof jug, place the ⅓ cup of boiling water, sprinkle over the gelatin then stir to dissolve. If your gelatin isn’t dissolving, place in the microwave for 20 seconds and stir. With the food processor blending on a slow speed, pour the gelatin mixture through the top, then increase the speed to quickly combine. Remove the base and Jello from the fridge. Cut the Jello into large cubes and place ⅓ of the Jello into the base, using a mixture of the flavors. Layer ½ of the cheesecake mix over the top of the Jello and gently tap the counter top to even it out and remove air bubbles. Layer over another third of the Jello over, followed by the rest of the cheesecake mixture. Top with the remaining Jello and set in the fridge for at least 4 hours. Cut into 16 slices and serve. What happens when you mix Jello and Cream Cheese? You get a Delicious No Bake Sugar Free Jello Cheesecake, perfect to impress the family over the holidays! 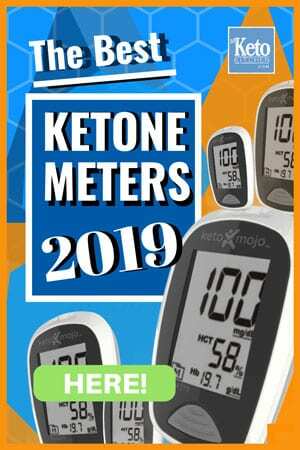 To make a larger batch of Sugar-Free Keto Jello Cheesecake adjust the servings above. Keto Snickerdoodle Cookies – Delicious Sugar-Free & Gluten-Free Snack! I can’t believe you can make a cheesecake without sugar. This idea of yours is brilliant.